Although it is possible for the entire Bow River to be accessed by foot, river boat use is restricted by boat ramp access. Within Calgary, the city’s River Access Strategy has addressed the public access boat ramp issue with new boat ramps scheduled for Inglewood and Ogden Bridge, an upgrade at West Baker Park and Harvie Passage the fishing community will have boat access to the entire city reach of the Bow River. Below Calgary, The Government of Alberta has developed 5 public boat access ramps all of which were devastated by the 2013 flood. Remediation of boat ramps has taken place, but further improvements are needed. Alberta Environment and Parks commissioned The Bow River Access Plan to identify access site needs, engaged with the general public and stakeholder groups to develop a timeline for improvements. It is understood that improvements will be made to McKinnon’s Flats and Johnson’s Island. Fish Creek Provincial Park meets immediate needs and Legacy Island will be maintained within the terms of the TU – Bow River Chapter lease agreement. What is unclear is the future of Policeman’s Flats. Discussions are ongoing for a replacement site less vulnerable to flooding but no definitive decision is expected for two or more years. Bow River Trout Foundation with a mandate to advocate and support for the Bow River fishery puts us in a position where we can contribute to river access improvements and new site developments. We appreciate that until the final Bow River Access Plan is approved and released to the public, it will be difficult to engage with what stakeholder contributions and support would be appropriate discussion points. Furthermore, no decisions on a new site development to replace Policeman’s Flats are expected for two or more years. This would indicate that Policeman’s Flats will continue to be one of the major river access points on the Bow River for the foreseeable future. 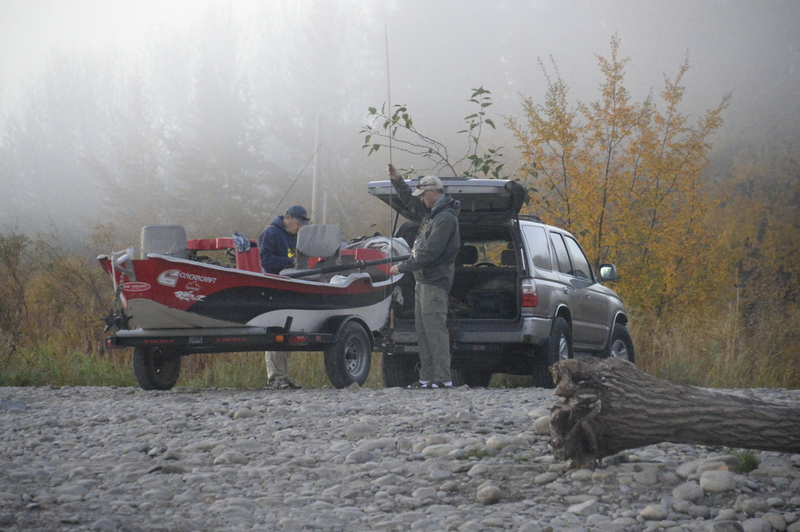 Bow River Trout’s position that is shared by other river user organizations, river guides, outfitters and the fishing community at large is that the current disposition of Policeman’s Flats is unacceptable as a safe boat launch and takeout point. We appreciate that to totally redevelop the site is problematic given the ownership questions, suitability of further development and new site development at better sites. Therefore, Bow River Trout Foundation has made a commitment of $5,000 to kick start the revitalization of Policeman’s Flats. 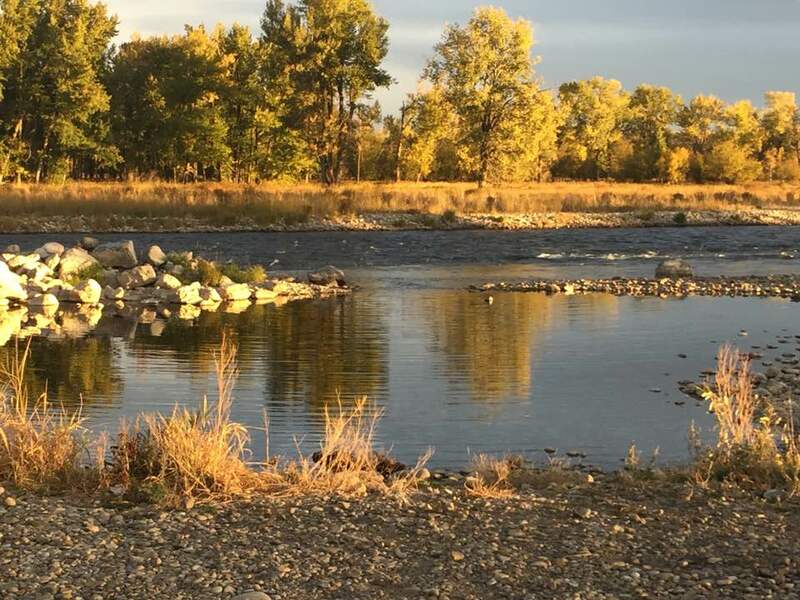 The three phase development will see rocks removed that interfere with river access, a clean up and grading of the parking area and possibly an amenities module with a total cost $ 37,525. Grant applications and fundraising activities will contribute a considerable amount of the funding needed to complete the project before the fall of 2018.